The actor said he is better off doing his bit for society by being an entertainer and a creative person. 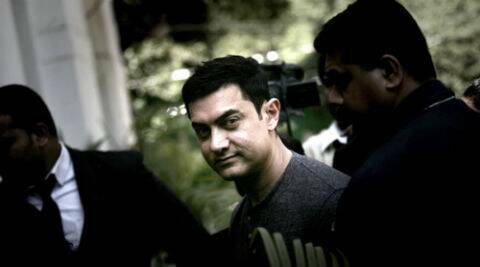 Aamir Khan may be raising socially pertinent questions through his TV show ‘Satyamev Jayate’ but the actor has no plans to enter politics as he feels he won’t fit there. The 48-year-old Bollywood star said he is better off doing his bit for society by being an entertainer and a creative person but that does not mean he sees himself as a social activist or would join politics. journalists at IWPC on the eve of Women’s Day. “You don’t have to be in politics to do social good. I believe I can make a huge contribution from where I am. This is why I would not join politics,” he said. The actor, who once supported the Anna Hazare movement, said he does not support any individual party though he agrees with Arvind Kejriwal-led Aam Aadmi Party’s concept of swaraj. When asked about his opinion on the way Raj Thackeray’s party Maharashtra Navnirman Sena treats people from North India, Aamir said it was wrong for any political party to use muscle power.